Many of us are familiar with a handful of people (if not more!) who don’t go to music festivals. It can be fascinating to learn about why people go (or don’t go). But there’s one thing I feel needs to come to light. I am often faced with ideas (more like stigmas!) people have about festival culture. What surprises me most is the assumption that festival goers are “Just trying to escaping reality, or seeking the limitless party lifestyle.” It can be challenging to paint the picture of what it’s actually like to someone who’s never been. As time moves on I’m realizing more and more that there is no such thing as true festival culture. Although each one will have its own unique vibe, what many people don’t see is the ever expanding communities within that make up the entire extravaganza! Being a music and arts festival, Lucidity opens the door for an even broader scope of passions, opportunities, and callings. 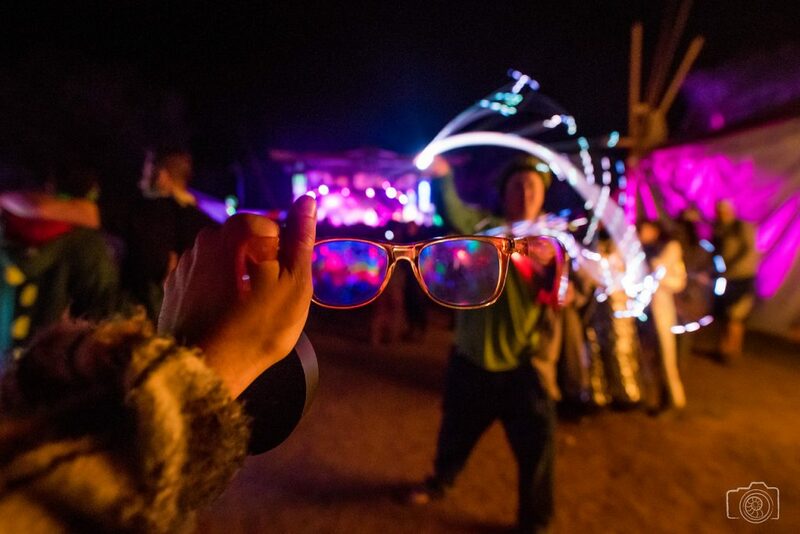 Stepping into your first festival can be one of the most impactful memories you hold on to. First timers make up a great portion of the crowd, as do the returning dreamers. For some, it becomes a lifestyle fueled from passion and dedication. 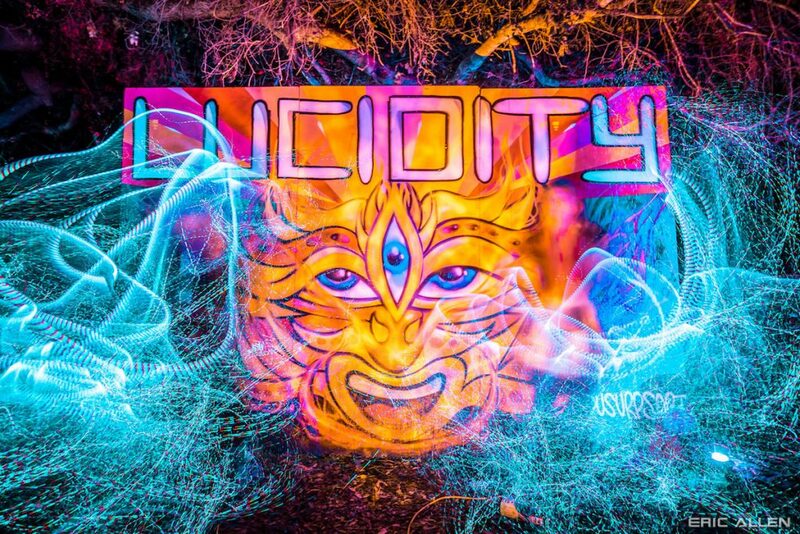 Every event, every year, since Lucidity launched its first voyage! Many of the returning dreamers have found clever ways to get involved. As an artist, there are a few different doors of opportunity; live paintings, performance stages, music sets, vendor booths, and even decorative environment installations to build. On another end of the spectrum, you have teachers leading workshops and healers providing hands on magic in the I AM HEALING sanctuary. There’s a variety of things people do to contribute. Let’s not forget about the crew of directors and leads coordinating, managing, delegating, and preparing everything needed to make the festival possible!! There will also be a handful of people who come to enjoy a single day experience. No need to pitch a tent or pack extensively! This is a great option if you can’t make it for the whole time. And then there are the folks deeply committed for the long haul: travelers. Caravans rolling in with RV’s, vans, or buses heading in from many directions. Traveler’s windshields are often filled with parking stickers from previous events as they hop from one fest to the next. Festival communities are often described as underground. Much of the scene doesn’t actually follow mainstream events and is quite larger than what most people think. But within the community there are offshoots of different cultures. Ravers are drawn to events that radiate rave culture; LED lasers lights, heavy bass music, and PLUR vibes! (PLUR is an old school rave acronym for Peace, Love, Unity, and Respect). 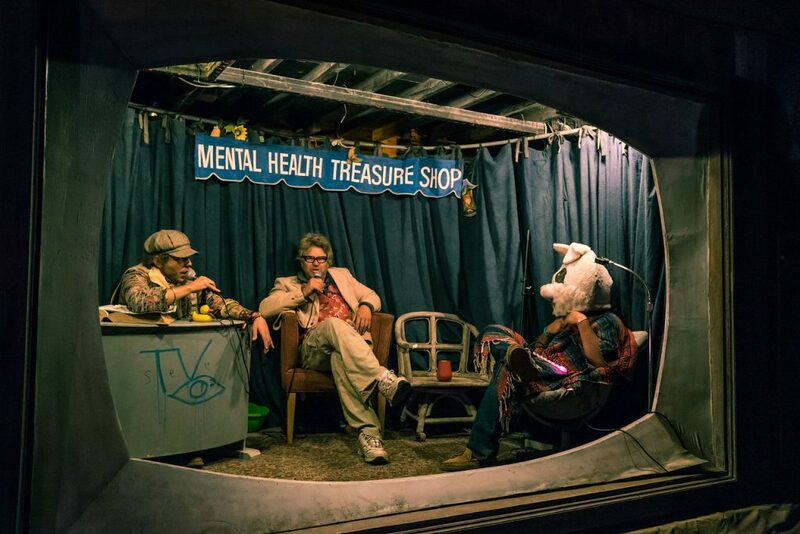 Burners from the Burning Man community have their unique ventures too, and are usually drawn to events like Lucidity. The first time I realized this was after seeing a group of people getting excited over calling the trash MOOP (Matter Out Of Place), and began connecting about their experiences at the Burn. There are are long time festival veterans that show up too, some that’ve followed the Grateful Dead around during their tours, and others alike. Shamanic elders are sometimes hidden in the crowds too, sharing their culture, sharing their light with the world. By shining a light on some of these micro communities within the macro that is the festival itself, it’s easier to recognize that for many people, this is much more than a weekend vacation. This is home! This is what’s sustaining people, feeding artists, and creating a healthier legacy for our Earth home and our children. It’s family, connected through similar passions while simultaneously appreciating our contrasts. It can be many things to many different people. What calls you to the gates of Lucidity? Whatever it is, you’ll certainly find it . . . and so much more!